So it appears as there will be more sneak peeks to this May update! The second of these sneak peeks is a brand new dark spell, the first dark spell ever added, the skeleton spell! The skeleton spell will spawn skeletons within the spell diameters, useful for a good distraction. I think that it will be a sweet addition to the game and can’t wait to see how it is used! The skeleton spell will be unlocked at Town Hall 9. Here’s a glance at what the skeleton spell will look like in your army queue and what it looks like when skeletons start to spawn. So the skeleton spell is going to be a sick red color contrasting greatly with all the other spells already in the game. (Remember Santa’s Surprise??). Now Clash of Clans has every color of the rainbow for spells! 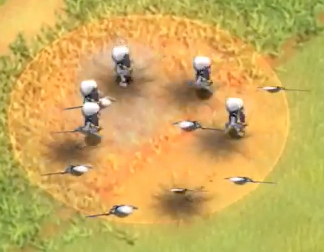 The spell looks like it works by just spawning all the skeletons within the circle and having them go to the nearest building. Can’t wait to try this out! There are a number of ways this can be used, as the case with every spell. Here are the top uses that I came up with for how the skeleton spell might be used. So regardless of how it does turn out to be, the skeleton spell should make for a pretty unique change in the game. I really want to see this spell become popular and see how the top players can make it into something special. Thanks for reading about this 2nd sneak peek and make sure to check back here tomorrow for, hopefully, another amazing sneak peek to the May 2016 update! ← Clash of Clans May 2016 Update Announced! 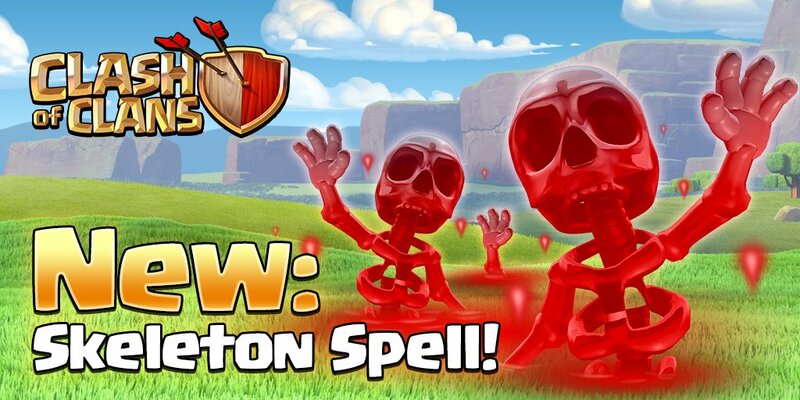 Pingback: New Clash of Clans Dark Spell: Skeleton Spell | Clash of Clans Guide, Strategies, Tricks and More!